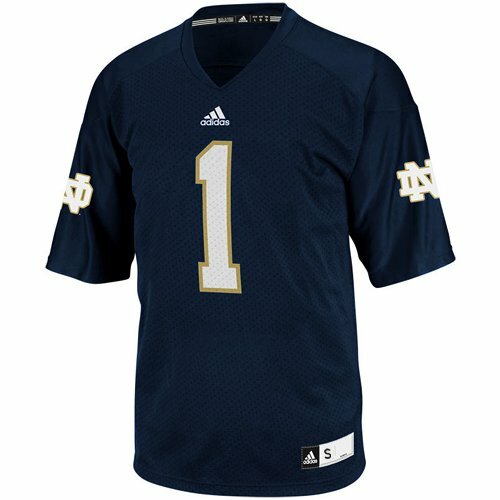 100% nylon replica football jersey by Adidas. 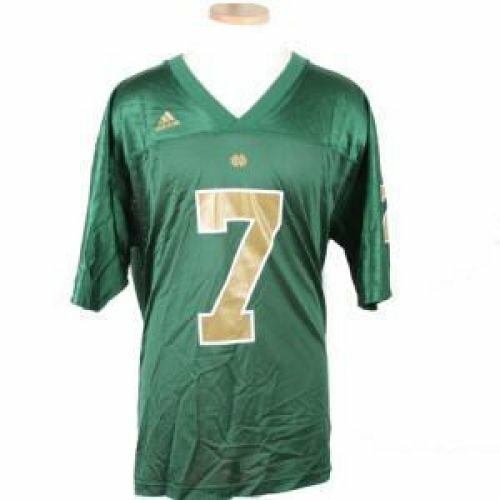 Has #7 screened on front, back, and both sleeves . 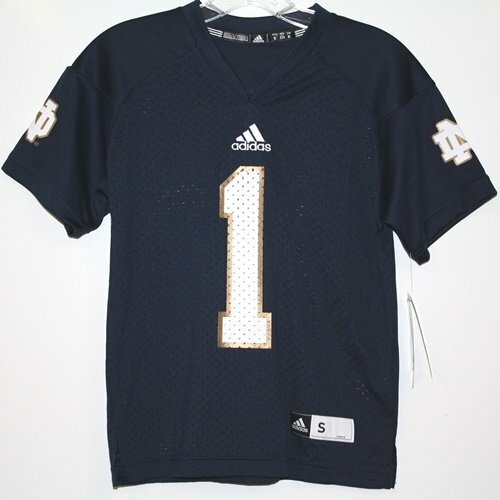 Has team logo screened above number on front and screened Adidas logo on right chest. 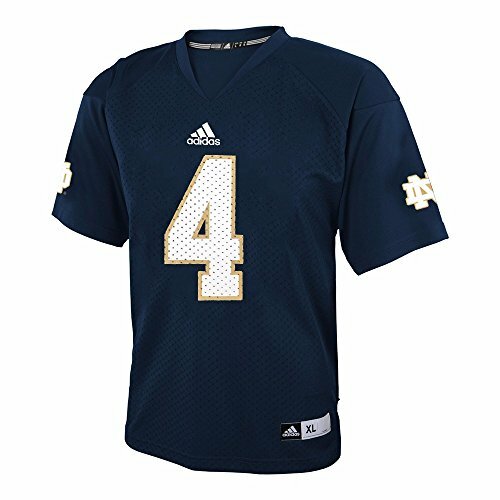 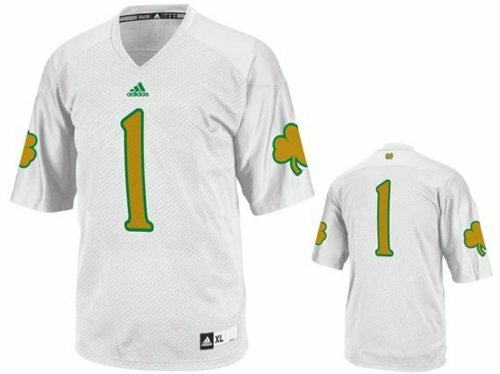 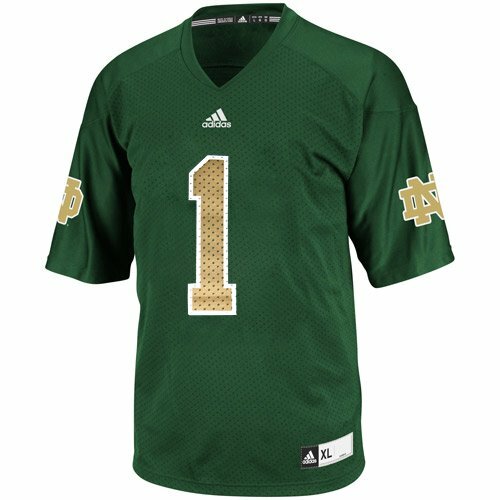 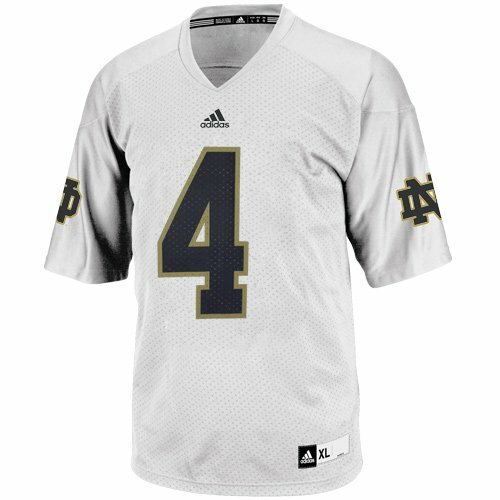 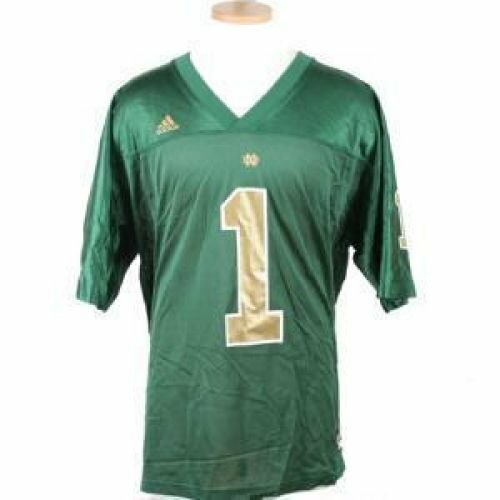 Your youngster will look great in this adidas Notre Dame Fighting Irish White Replica Jersey!